Record and share audio messages really easily. Is there a better alternative to AudioNotes? Is AudioNotes really the best app in Productivity category? 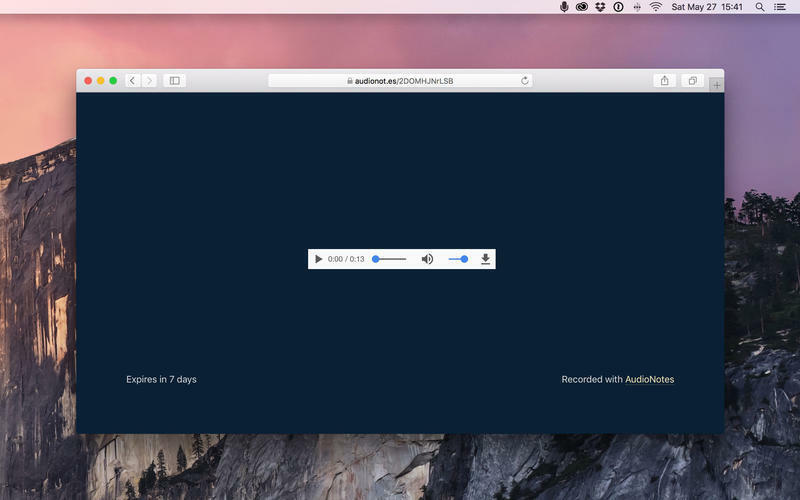 Will AudioNotes work good on macOS 10.13.4? 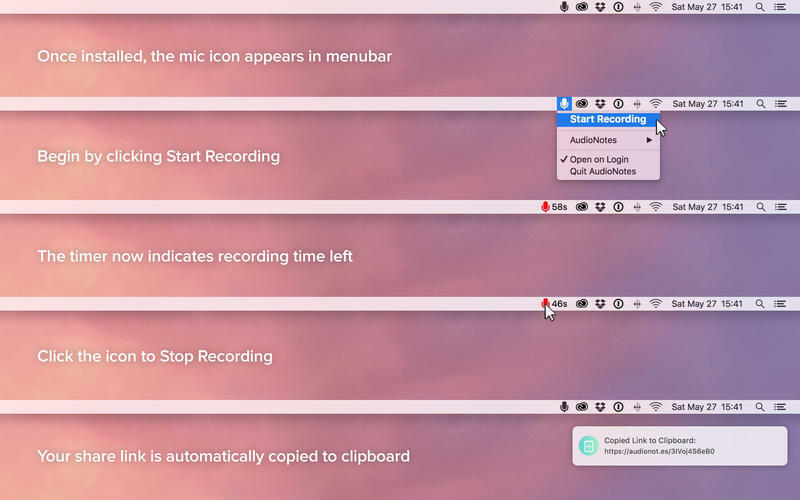 As you finish recording, AudioNotes instantly copies a link to paste into emails, forums, website comments or social media. Why? Because unlike text, audio emphasizes your message... and spending your days typing isn't fun. AudioNotes needs a review. Be the first to review this app and get the discussion started! AudioNotes needs a rating. Be the first to rate this app and get the discussion started!